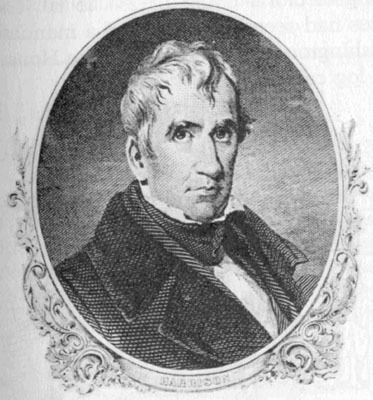 This is an engraving of the ninth President of the United States, William Henry Harrison, who only served 31 days before dying in office of pneumonia, following his inauguration in 1841. Source: Bailey, Thomas A. and David M. Kennedy. The American Pageant, A History of the Republic, Sixth Edition. Lexington, MA: D. C. Heath and Company, 1979, page 251.